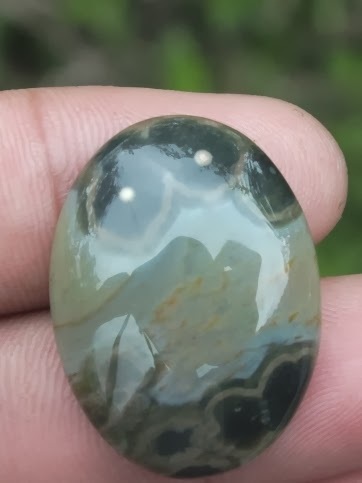 This is a very nice natural Ocean Jasper Chalcedony loose stone. 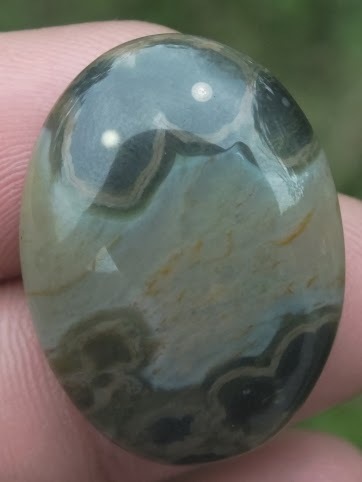 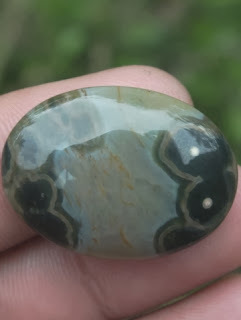 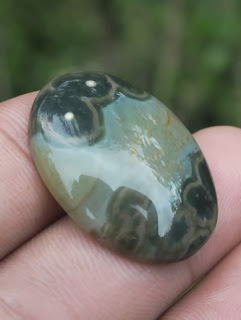 This gemstone has an interesting pattern, rounded concentric rings around the surface. 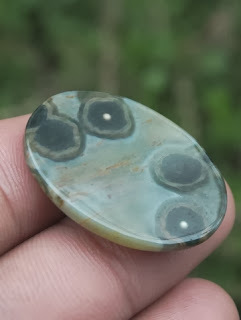 The size of the gems is 30mm x 22mm x 6,5mm.